While it is an honor to be named as an executor of a will or estate, it can also be a sobering and daunting responsibility. Being an executor (sometimes called a personal representative) requires a high level of organization, foresight, and attention to detail to meet responsibilities and ensure that all beneficiaries receive the assets to which they are entitled. If you’ve found yourself in the position of “overwhelmed executor,” here are some tips to lighten the load. Get professional help from an experienced attorney. The caveat to being an executor is that once you accept the responsibility, you also accept the liability if something goes wrong. To protect yourself and make sure you’re dotting all the “i’s” and crossing all the “t’s,” hire an experienced estate planning attorney now. Having a legal professional in your corner not only helps you avoid pitfalls and blind spots, but it will also give you greater peace of mind during the process. In fact, in some states it’s a requirement that an executor be represented by competent legal counsel, so it’s always a good idea to discuss your responsibilities with an attorney before you start taking any actions. One of the biggest reasons for feeling overwhelmed as an executor is when the details are coming at you from all directions. Proper organization helps you conquer this problem and regain control. We will advise you of what to do when, but in general, you’ll need to gather several pieces of important paperwork to get started. It’s a good idea to create a file or binder so you can keep track of the original estate planning documents, death certificates, bills, financial statements, insurance policies, and contact information of beneficiaries. Bringing all of this information to your first meeting will be a solid start. As an executor, you are effectively a liaison between multiple parties related to the estate: namely, the courts, the creditors, the IRS, and the heirs. Create and maintain an up-to-date list of everyone’s contact information. Also, retain records such as copies of correspondence or notes about phone calls you make as executor. Open and honest communication helps keeps the process flowing smoothly and reduces the risk of disputes. It’s worth repeating because it’s so important — keep records of all communications, so you can always recall what was said to whom. If you have been appointed as an executor, and you are feeling overwhelmed, we can provide skilled counsel and advice to help you through the process. We can also help you draft your own estate plan, so your family can avoid the stress of probate. 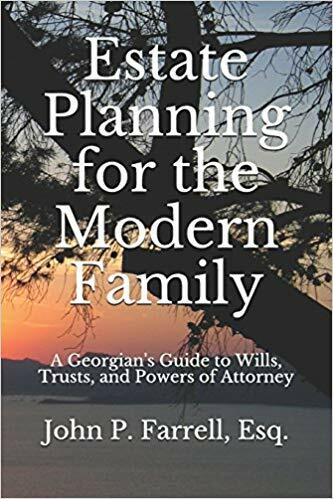 Give our office a call today at (678) 809-4922 or get our book, Estate Planning for the Modern Family, for a free consultation. We look forward to hearing from you. Previous Previous post: How can I protect my assets? Next Next post: How does the Court get involved with my estate?